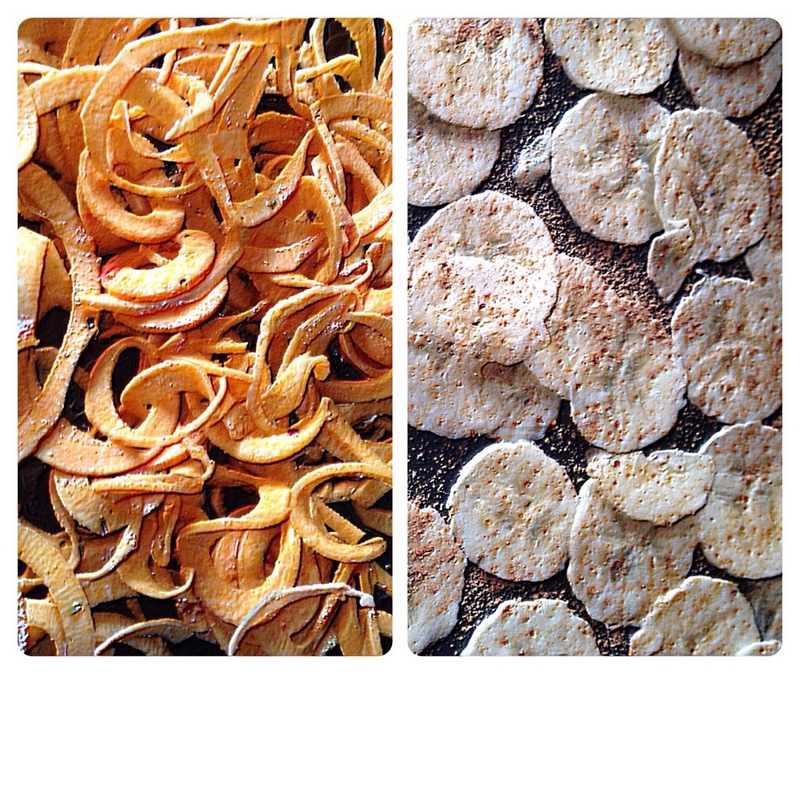 For an afterschool treat today and because the beetroots needed using I made some lovely, healthy crisps. I used 3 small beetroots, 1 medium sweet potato and 1 banana. 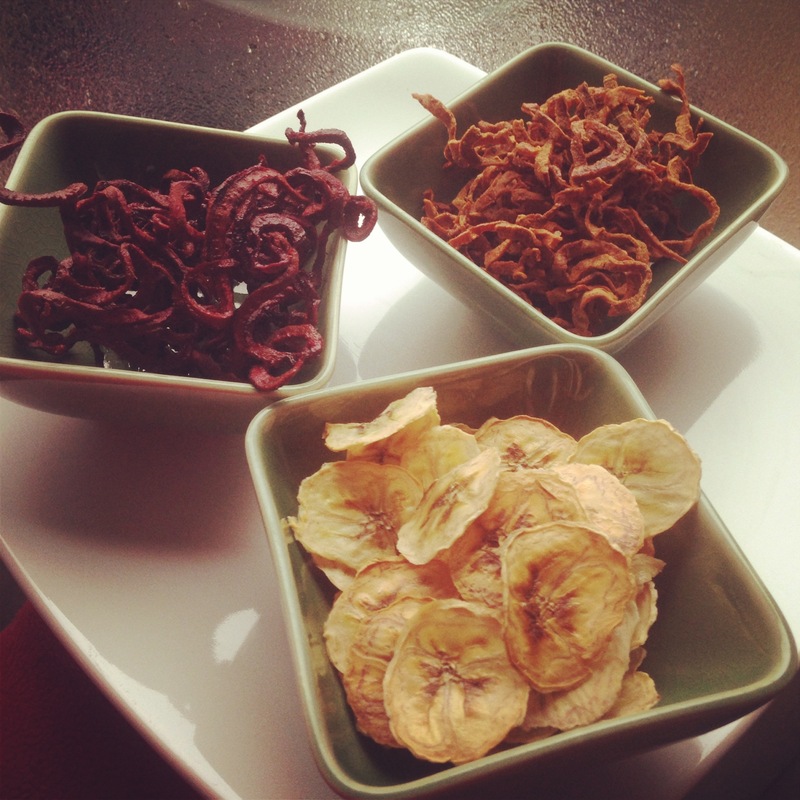 I made the strips with my spiralizer but thin slices with a mandolin work well too. I like to add some crushed fennel seeds to the sweet potato and cinnamon to the banana. Spread as thinly as possible in baking trays. Use grease proof baking paper for the bananas or they will stick to the tray. Bake in a very low oven for a few hours, time will depend on your oven. I do turn the trays round a few times and keep an eye on them. 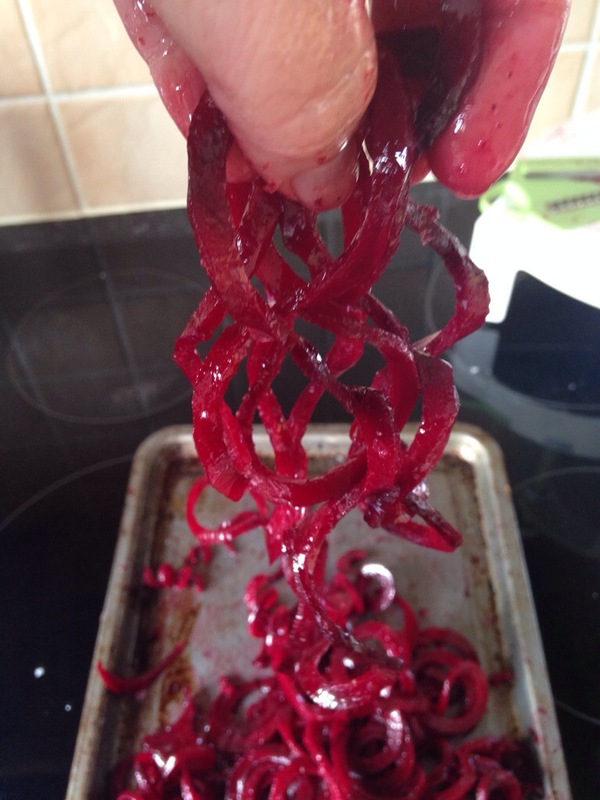 This entry was posted in baking, catering, cooking, desserts, fitness, food, health, home, home cooking, kitchen, nutrition, raw food, small kitchen appliances, snacks, vegan, vegetarian, workout and tagged banana, beetroot, crisps, snack, sweetpotato. Bookmark the permalink.